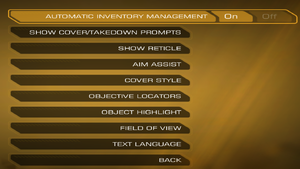 Updated version of Deus Ex: Human Revolution with new content and additions. 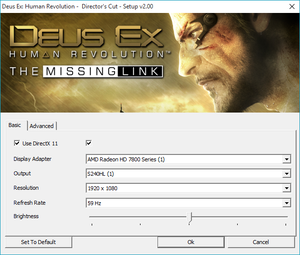 Director's Cut has various issues with performance and stability not present in the original Deus Ex HR release. gamea1 and gamea2 - Autosave files. Not sure yet if it alternates or if 2 is always the most recent. gamer# (where # is 1 - 99) - Manual save files. A maximum number of 99 different save files are allowed at anytime. saveindex - An index to all the save files. The save files will be useless if this file is missing/corrupted from the folder. Multi-monitor resolutions may have an incorrect aspect ratio. Most HUD elements (radar, health, etc.) will appear very small at this resolution. Up to 100°, Hor+. See Field of view (FOV) for higher values. FXAA, MLAA. For less jaggies, see SMAA. No frame rate or refresh rate cap. Laser rifle stops consuming ammo at high frame rates. Uncapped frame rate can cause temporal inability to move after some pre-rendered cutscenes and loading screens. Hacking minigame and some animations (e.g. takedowns, first person conversations) are locked at lower framerate. In-game advanced video settings (1/2). 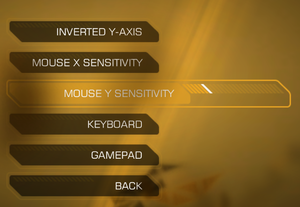 In-game advanced video settings (2/2). Change value data to 71 00 00 00. Changing in-menu display settings will revert this change. This tweak can possibly fix distortion when using multi-monitors with the game. Although mouse acceleration is disabled, players could still experience some weird behaviors. See Mouse lag/acceleration. In-game key map settings (1/3). In-game key map settings (2/3). In-game key map settings (3/3). 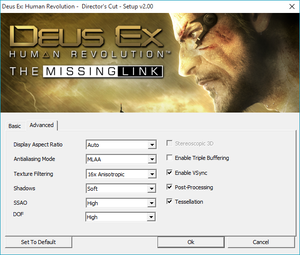 The Director's Cut does not include Polish or Russian support unlike the original Deus Ex: Human Revolution and its DLC (a Russian localization mod is available). 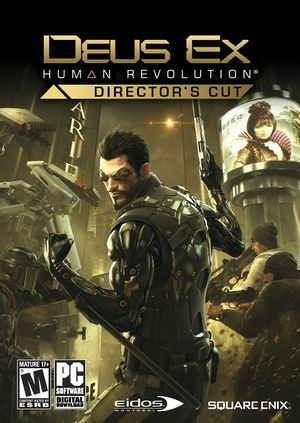 See Helix Mod: Deus Ex Human Revolution Director's Cut (DX11). Multi-monitor resolutions worked correctly in the original version but have an incorrect aspect ratio in the Director's Cut. Using a 4k monitor or super resolution techniques like Nvidia DSR results in very small HUD elements. No solution is known for this. Some users report that the mouse feels laggy and looking around feels unnatural. Some have attributed this to an implementation of mouse acceleration, however Eidos developer Jimo has stated that there is "no mouse smoothing applied in DXHR". The problem may simply be input lag which is usually related to V-Sync. Disabling V-Sync seems to fix input lag for most users. Change the ingame setting "fullscreen" to "no". If you press Alt+↵ Enter the game will go back to fullscreen, but the stuttering should be gone. If this doesn't fix stuttering in fullscreen but does fix it in windowed mode for Windows 7 users, right-click 'dxhr.exe' and open the Properties window, then navigate to the Compatibility tab and check 'disable visual themes' and 'disable desktop composition.' This could possibly fix stuttering in fullscreen. Stuttering can also be reduced by turning off triple buffering in the game menu. 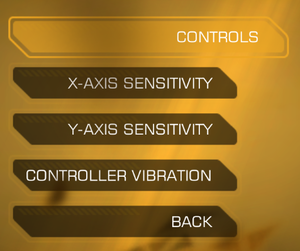 If you're playing in DX9 mode, you may try using Boris Vorontsov's ENBSeries SPEED IMPLANT. The last possible solution would be to use DX11 mode (VSync enabled) and then go in to the registry. Some players have reported poor performance with the Director's Cut version. Some players have reported that when starting the game, it crashes outright when the integrated Intel(R) HD Graphics adapter is enabled. Right-click the Start corner (or press ⊞ Win+X) and choose Device Manager. Right-click Intel(R) HD Graphics, choose Disable. Confirm when prompted. An alternative work-around for some users, without disabling their graphics card, is to add "-nosound" to the Steam Launch Options. Some additional testing is needed to verify if this works for the majority of users. Open Steam and right-click on the game, selecting Properties. Add "-nosound" without quotes into the box, and hit OK. 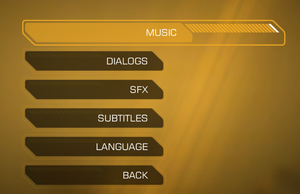 Despite the wording of the setting being added, this does not disable sound for the game. Open SweetFX_Settings.txt, find define USE_LUMASHARPEN 1. Change 1 to 0. The following graphics cards are not supported on OS X: ATI Radeon X1xxx series, ATI Radeon HD2xxx series, Intel GMA series, Intel HD3000, Nvidia GeForce 7xxx series, Nvidia GeForce 8xxx series, Nvidia GeForce 9400 and Nvidia GeForce 3xx series. The following cards require you to have 8 GB of system RAM: Intel HD4000. ↑ 1.0 1.1 File/folder structure within this directory reflects the path(s) listed for Windows and/or Steam game data (use Wine regedit to access Windows registry paths). Games with Steam Cloud support may store data in ~/.steam/steam/userdata/<user-id>/238010/ in addition to or instead of this directory. The app ID (238010) may differ in some cases. Treat backslashes as forward slashes. See the glossary page for details. ↑ The porter for the Windows version of HR:DC is unknown. Nixxes ported the original Human Revolution, but disclaims involvement with the Director's Cut.